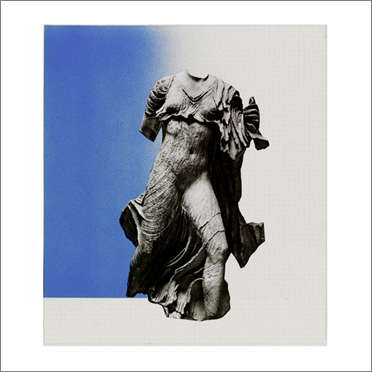 Minimal Wave new releases and news – Chain D.L.K. 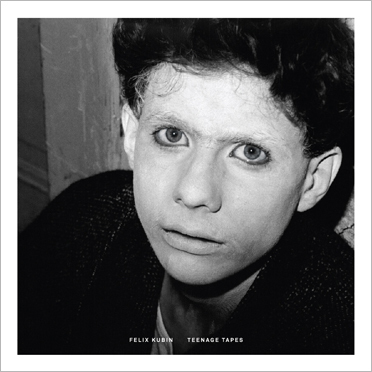 Details about the release: the Teenage Tapes LP is pressed on 180 gram black vinyl, printed on a heavy matte sleeve and presented with an innersleeve of drawings and lyrics in both German and English text. Six of the twelve tracks on this album have never been released before. Hand numbered edition of 999. Purchase here, $22. Click on titles for audio samples. We’re happy to announce the sixth release on Cititrax, Native State by Canadian artist Kontravoid. The name Kontravoid belongs on a limited run cassette circa 1980-something, the type of tape buried in lost upstate dustbins of pre-MIDI analog electronics, wedged between Cabaret Voltaire and Das Ding. The dark industrial and new wave influences are strong on ex-Crystal Castles drummer Cam Findlay’s new project—his voice is scary, like an echoing underwater growl—but the underlying pop melodies always afford a degree of breathing room. After departing as writer/producer for Toronto band Parallels, Findlay has settled into a music venture he can call his own, assuming the identity of this masked alter-ego for what appears to be a permanent ride. On his debut self-titled album, Kontravoid turns to analogue synths to create a dark, brooding pop masterpiece. His brilliant vocals emit a dystopic low-grown, often running through warped effects accompanied by exceptionally stirring arpeggiated synths and washes of sound. Modern touchstones could parallel the likes of John Maus or Trust, but Kontravoid’s vision is a much more twisted one, embracing goth influences and yielding a monstrous result that is harder to define. Despite its sonic vampiricism, Kontravoid’s music leaves plenty to dance and lose your mind to, but the imagination here goes way beyond these activities exclusively. The tracks presented here, Native State (stream the video) and Cut To Cleanse are exclusive 7” only versions. The record is pressed on clear blue vinyl and comes in a hand silkscreened sleeve, limited edition of 999 numbered copies. Purchase here, $9. Click on titles for audio samples. Highly acclaimed compilation of Minimal Wave from around the world: ’79-’85, The Hidden Tapes features rare, unreleased, and licensed tracks from as far as Japan and the former Yugoslavia. Most of the bands on this compilation recorded on 4-track tape in their bedroom studios while two of them went further to collaborate by sending tapes through the mail. The sounds on this record range from raw proto-industrial to naive danceable Belgradian new wave, to filmic synthesizer music to more complex, vocal-driven melodic synthpop. 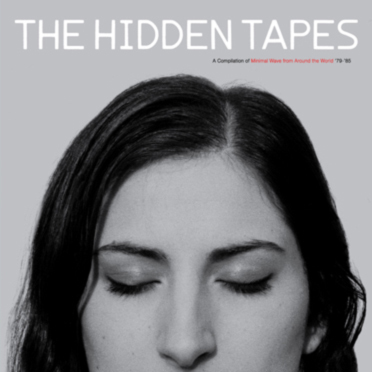 The Hidden Tapes presents songs from Danton’s Voice, Oskarova Fobija, The Fast Set, Sympathy Nervous, Pas De Deux, Unovidual + Tara Cross, SS-Say, Robert Lawrence + Mark Phillips, Kym Amps and Reservé, all lovingly remastered. Thanks to everyone involved in making this happen. Limited edition of 999 numbered copies, pressed on 180 gram vinyl, and housed in heavy printed jacket accompanied by inner jacket with photos and info. Why spend $50 for it on Discogs? Purchase here on LP, $22 / CD, $16. Click on titles for audio samples. Bal Pare – Best of..
Also check the J. ROCC Minimal Wave Tapes EDITS Volume 1 and Volume 2 out now (vinyl / digital) on Stones Throw Records. Stream the Minimal Wave Radio Show on East Village Radio live every Sunday from 6-8PM ET, or listen to the archives anytime on EVR’s player. Check the Minimal Wave Facebook page for updates.